The Environmental Protection Agency is considering a request by Dow AgroSciences to dramatically expand the use of the bee-killing pesticide sulfoxaflor to rice, avocados, greenhouses, tree farms and residential ornamental plants sold at retail outlets. The EPA has already concluded that sulfoxaflor is “very highly toxic” to bees. If granted, this action would allow the very first uses of the pesticide on commercial and residential ornamental plants that are often visited by pollinators and that make up some of the only pollinator habitat in densely populated urban areas. The proposed use on rice, grown on nearly 3 million acres in California, Texas, Arkansas and Louisiana, could spell disaster for already imperiled aquatic invertebrates because rice fields are often intentionally flooded, which could allow the pesticide to reach nearby streams and rivers. This request comes the same day as the public comment period ended on the EPA’s consideration of allowing use of another bee-toxic pesticide, Bayer’s flupyradifurone, across 300,000 acres of tobacco fields in Kentucky, North Carolina and four other states in the Southeast. Sulfoxaflor and flupyradifurone are systemic pesticides with the same mode of action — and potential for harm — as neonicotinoid pesticides, a leading cause of widespread pollinator population declines. While the pesticide industry has touted these pesticides as a replacement for neonics, they pose many of the same risks to non-target species like bees and butterflies. 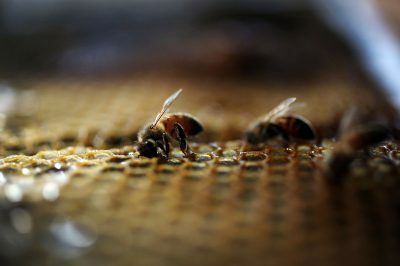 In response to a legal challenge by beekeepers, the 9th Circuit Court of Appeals vacated the EPA’s original registration of sulfoxaflor in 2015, finding that it was too dangerous for bees. The EPA’s new 2016 registration for sulfoxaflor — purportedly designed to ensure no exposure to bees — excluded crops that are attractive to bees and have indeterminate flowering patterns. Since then the EPA has routinely granted so-called “emergency exemptions,” 22 so far this year and 78 in 2017, that have allowed for sulfoxaflor use on 17.5 millions of acres of farmland. The Office of Inspector General issued a report critical of the EPA’s use of these emergency exemptions weeks ago. A recent study published in Nature found that sulfoxaflor exposure at low doses had severe consequences for bumblebee reproductive success. The authors cautioned against EPA’s current trajectory of replacing neonicotinoids with nearly identical pesticides like sulfoxaflor.